Displaying an Amazon Web Service (AWS) cloud actually requires large amounts of attention to detail. Every element of technology has to be addressed: software, middleware, transaction processing, scaling, data storage; the complete list is staggering. AWS Simple Icons are an official icon set designed to be used in AWS Architecture diagrams. The ability to create AWS architecture diagrams describing your use of Amazon Services is delivered by AWS Architecture Diagrams Solution. It contains Amazon Simple Icons updated to version 2.4 of AWS architecture icons. The AWS Architecture Diagrams solution includes 358 icons and a lot of sample drawings that graphically depict an architecture of Amazon Web Services products and resources. The AWS Architecture Diagrams solution provides IT specialists, system designers, and network administrators with a wide range of recognizable graphic icons to help illustrate a diagram. 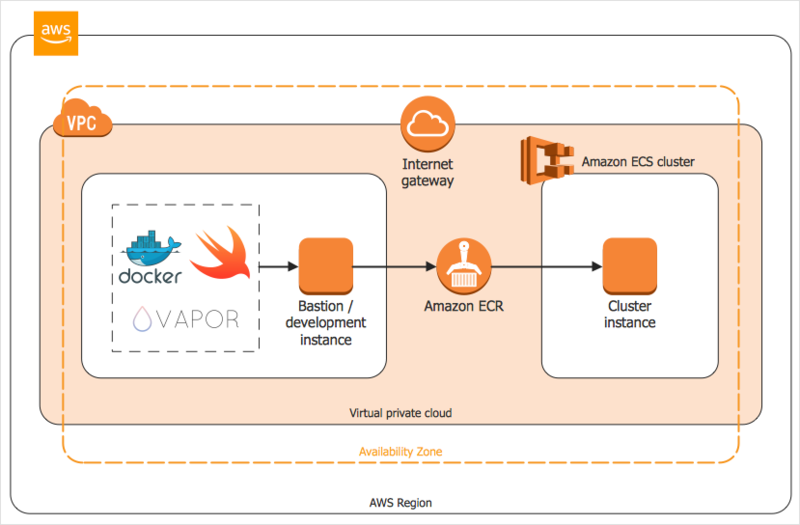 Architecture diagrams are a great way to communicate a design, deployment, and topology of an AWS based system. Reveal the AWS Architecture Diagrams solution in the Solutions panel. Open a proper library and put proper elements to the drawing by dragging them from the library to the document page. You can group the framed objects by selecting them and using the Group and Lock options on the Arrange & Size panel. Grouping related objects let you style, format, rotate, and move them together, as though they were a single object. Select objects to be connected, and activate the Chain connection mode using the button on the toolbar. You can change the connector type at any time using the Format panel. Result: Using the ConceptDraw collection of library objects and templates makes much easier the work on documenting the AWS architecture.